After a year-long engagement, Melissa and Mike tied the knot on June 24, 2017, at her parents’ house in Oyster Bay Cove on Long Island. 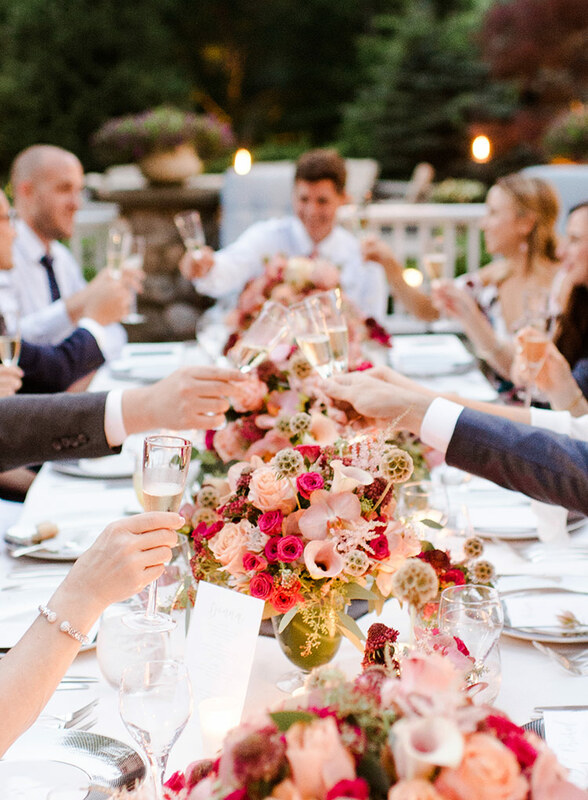 Fifteen guests attended the intimate ceremony, which featured a natural landscape, alfresco dinner, elegant tablescape, and vibrant summer florals. Melissa and Mike considered a wide range of wedding locations, including New York City Hall, Italy, Napa Valley, and Florida. 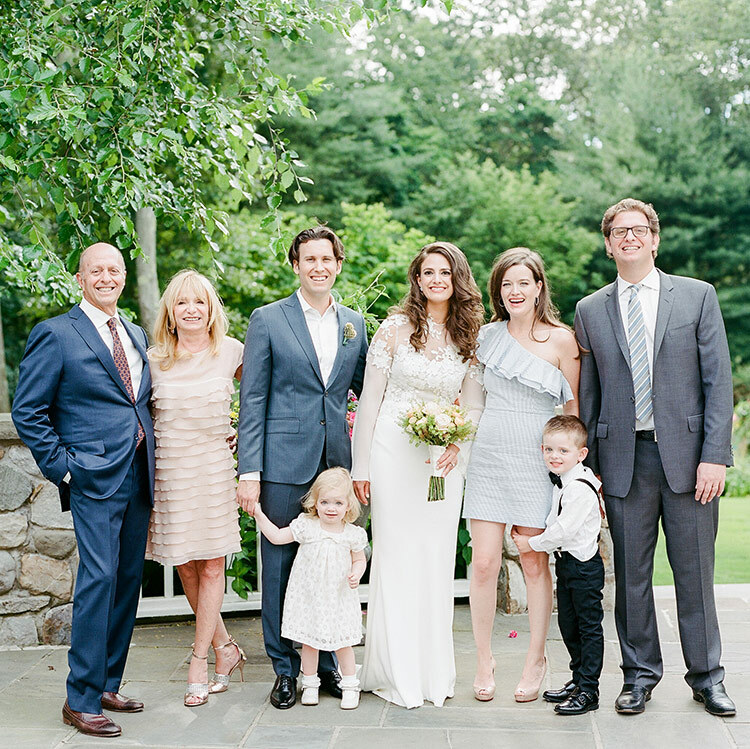 After months of indecision, Melissa’s mom suggested the couple tie the knot at their home in Oyster Bay Cove on Long Island. 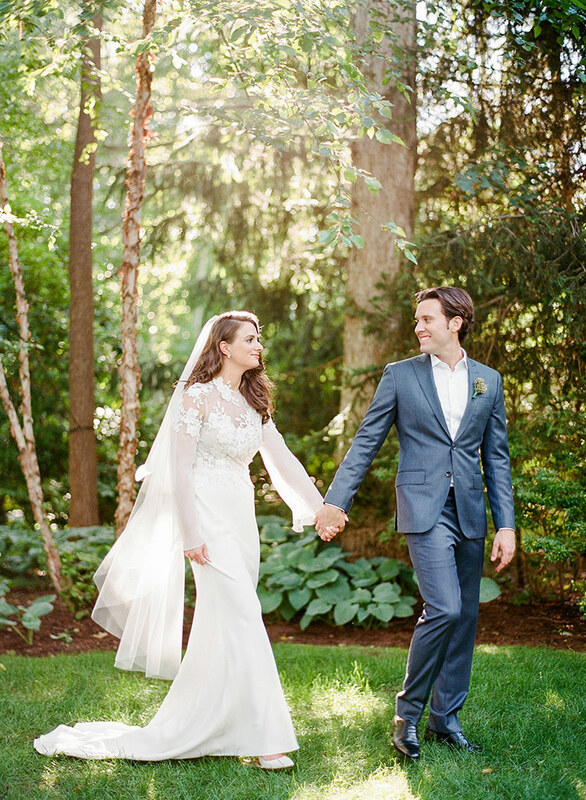 “Having our wedding at my parents’ house worked out perfectly,” says Melissa. 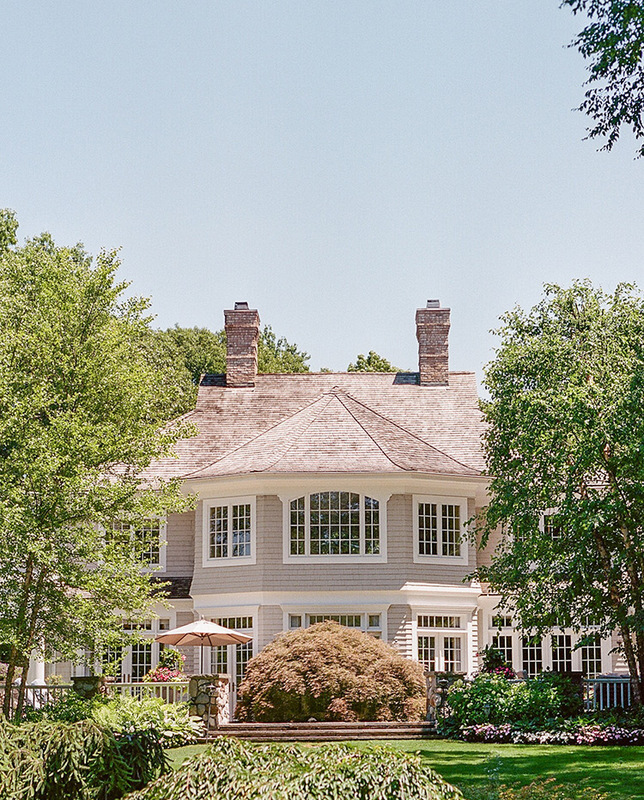 “The house and surroundings are so beautiful, especially in the summer when everything is in bloom.” Not to mention, the couple’s families live conveniently close to one another—just a few miles apart. Melissa tried on about 50 dresses in a two-week period about two months before the big day. After some deliberation, she decided on the ‘Freesia’ gown by Elizabeth Fillmore from Kleinfeld Bridal. It has chiffon sleeves and a silk crepe skirt and “felt like butter on my skin,” says the bride. 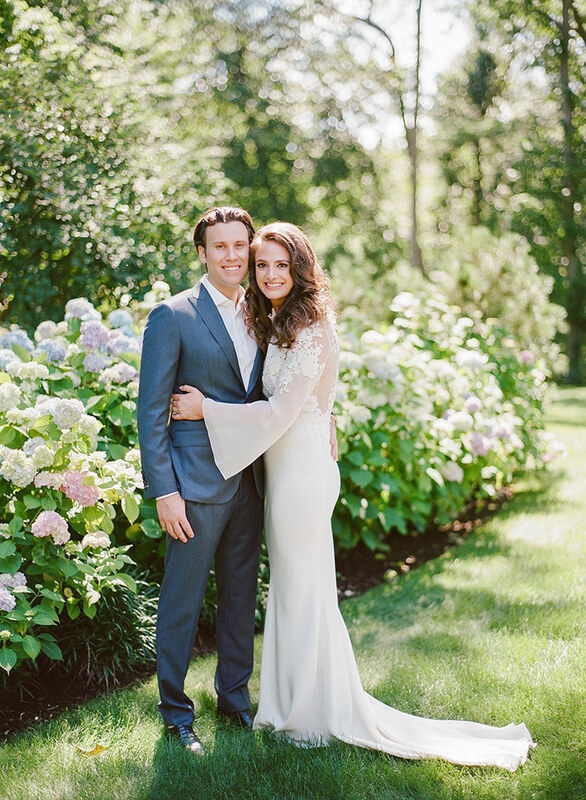 “Everything about my gown was dreamy, but I especially loved the statement bell sleeves and unique keyhole opening in the back.” She paired the sophisticated yet ethereal gown with an Elizabeth Fillmore veil and flower earrings borrowed from her mother. The bride’s engagement ring came from Reeds Jewelers, and the wedding band originally belonged to Melissa’s mother. Melissa wore satin ‘Rosa 100’ shoes by Jimmy Choo. 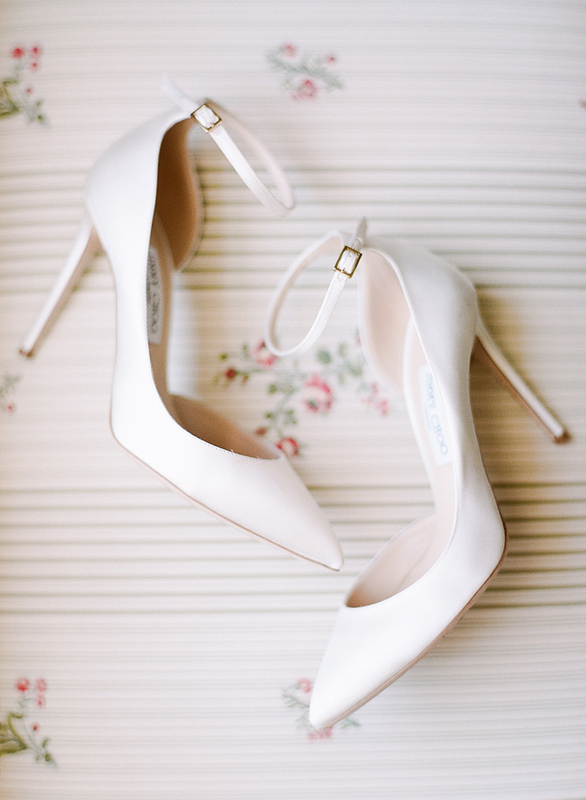 “They came with these really fun detachable white pom-poms that I ended up wearing to our rehearsal dinner!” she says. 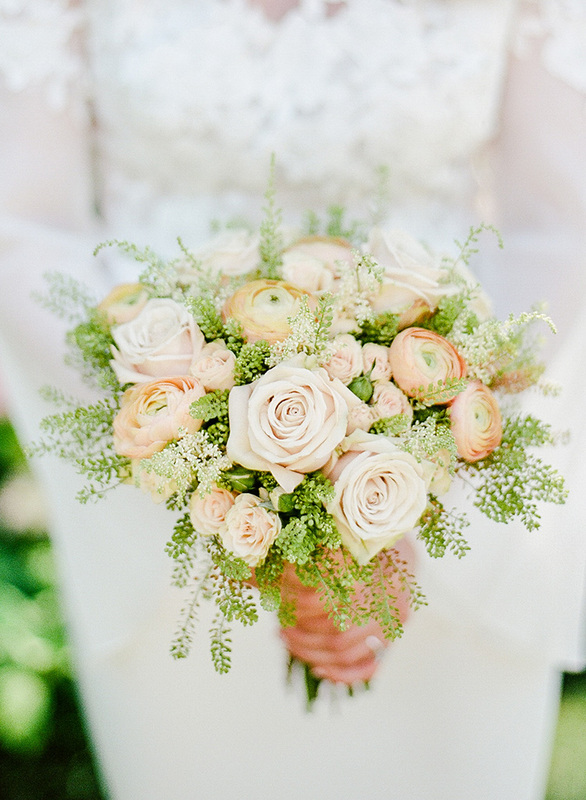 Artistry in Flowers created Melissa’s bouquet of ranunculus, spray roses, garden roses, white astilbe, and peppergrass. Melissa’s two-year-old niece, Brooke, served as flower girl. 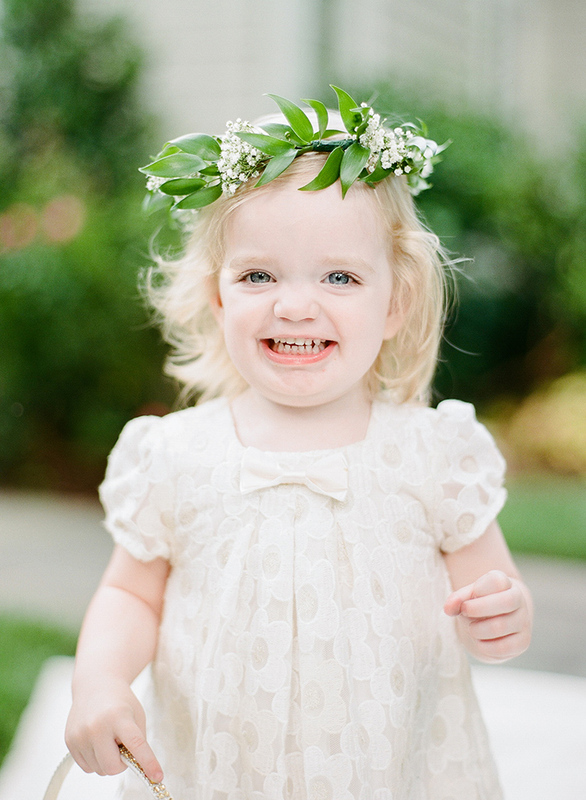 She sported a white dress from Z’Baby Company and a floral crown made with baby’s breath and greenery. 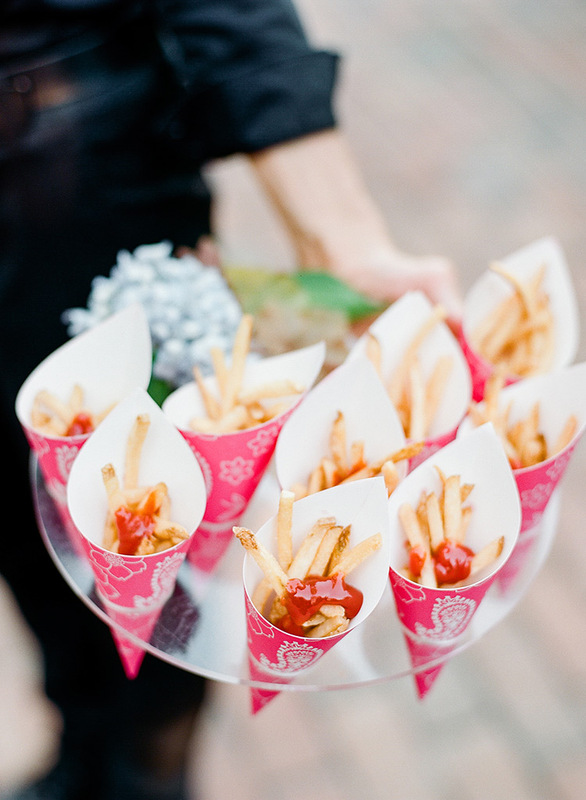 “My father-in-law observed that Brooke threw only one flower petal on her walk down the aisle. She was conservative with her petals, but made it a throw to remember!” says the bride. The ceremony took place in a grassy area of Melissa’s parents’ backyard. 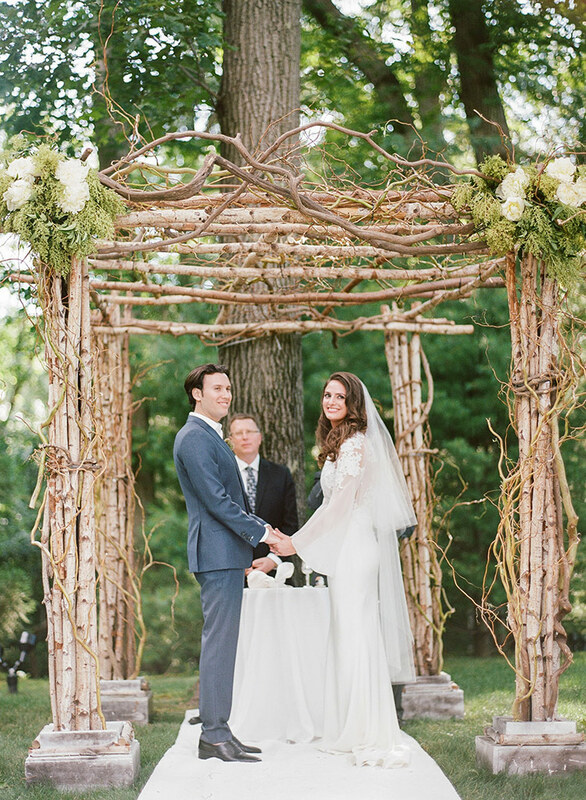 Artistry in Flowers constructed a birch branch chuppah accented with wisteria vine, privet, and white peonies. 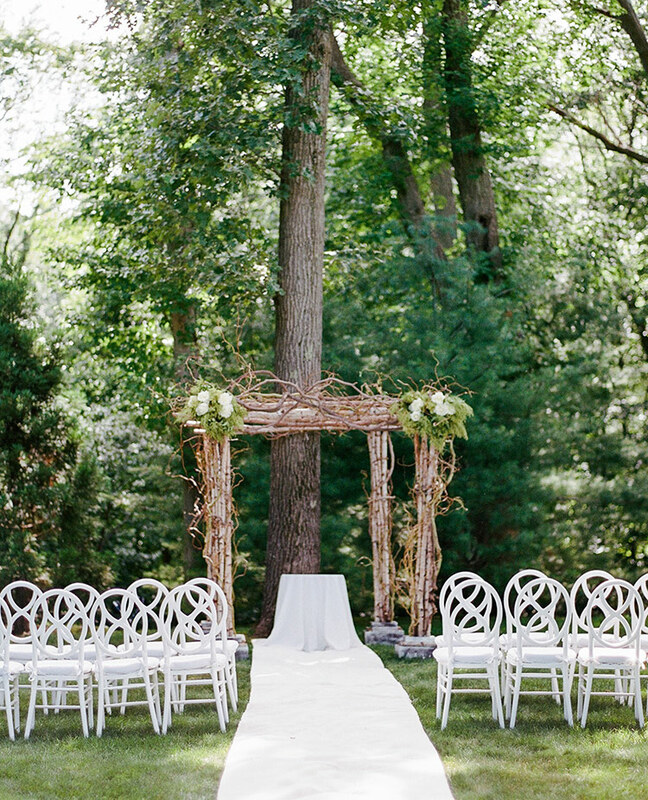 The location allowed for a dramatic entrance from the house, and the simple setting made the chuppah stand out. Melissa and Mike call each other “bunny,” so they incorporated the adorable nicknames into their big day. 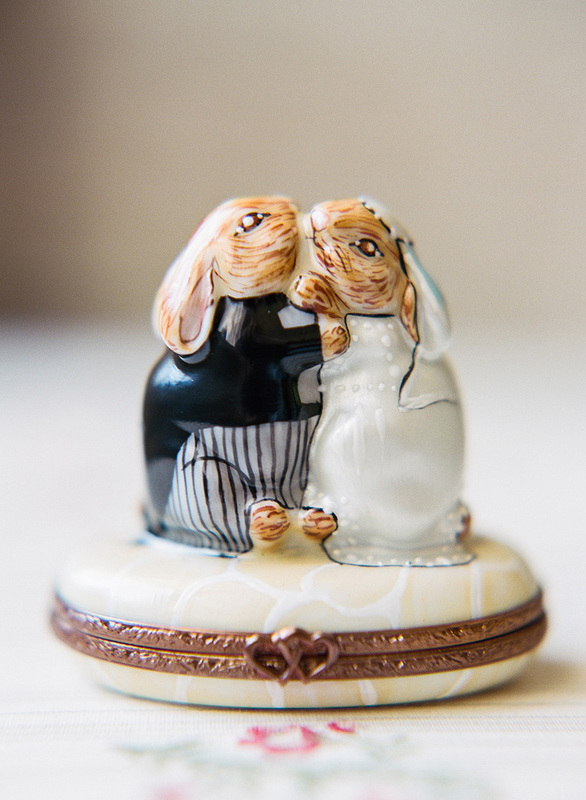 In lieu of a ring pillow, the wedding bands were placed inside a bride and groom bunny figurine—which worked out well because the ring bearer, Melissa’s nephew, David, loves the animal. The almost-four-year-old turned out to be quite the entertainment during the ceremony; he got warm halfway through, and took off his shirt and suspenders. Melissa’s parents walked her down the aisle to “I Can’t Help Falling In Love With You” by Elvis Presley. Since Melissa is Jewish and Mike is Catholic, the couple held an interfaith ceremony. “We were lucky to find such a great rabbi and priest. They conducted a very warm, sweet ceremony for us. They have done over 100 weddings together and have a nice balanced rhythm,” says the bride of the late afternoon service. 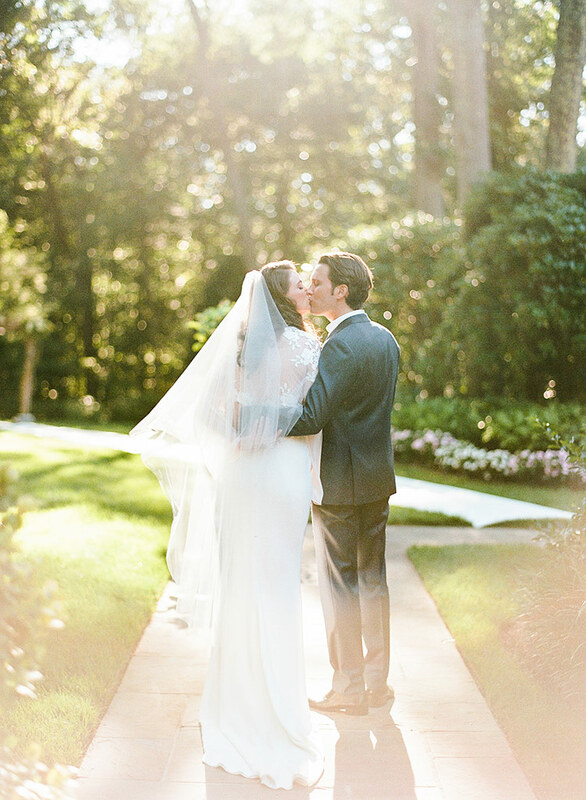 Before the ceremony, Melissa and Mike took portraits around the property. Thankfully, the weather held up throughout the day, despite a heavy rainstorm early in the morning. Here, the happy couple poses with Melissa’s parents, her sister-in-law, her brother, and their two children. 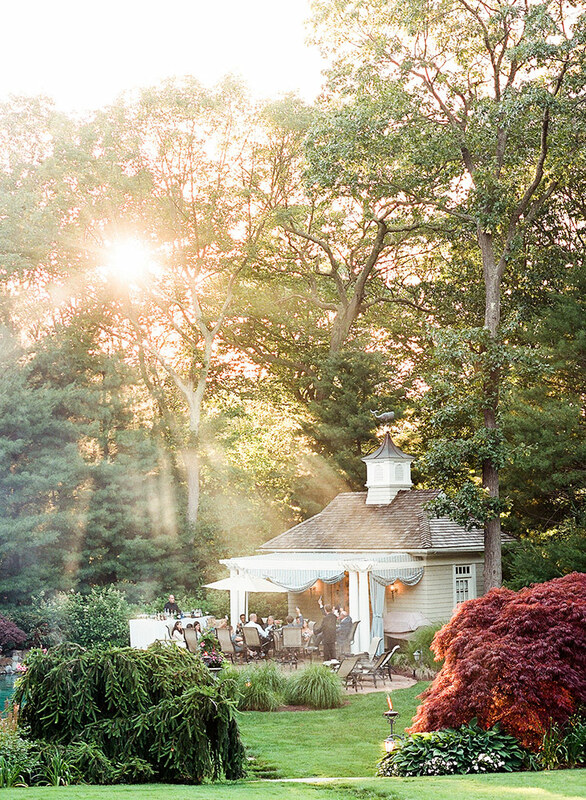 After the ceremony, the couple hosted a cocktail area near the property’s pool. Guests listened to an eclectic playlist made up of 85 songs by a wide variety of artists, including Nat King Cole, The Eagles, David Bowie, Adele, Billy Joel, Michael Bublé, and Radiohead. 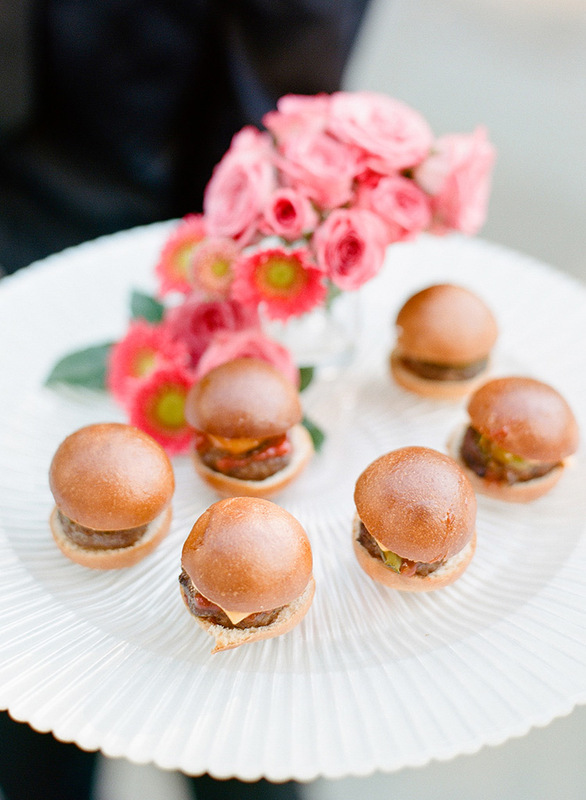 Hors d’oeuvres by Marcey Brownstein Catering & Events included mini lobster rolls, two-bite burgers, chicken-and-chive dumplings, linguine and clams, margherita pizza bites, pigs in a blanket, and mini deviled eggs. 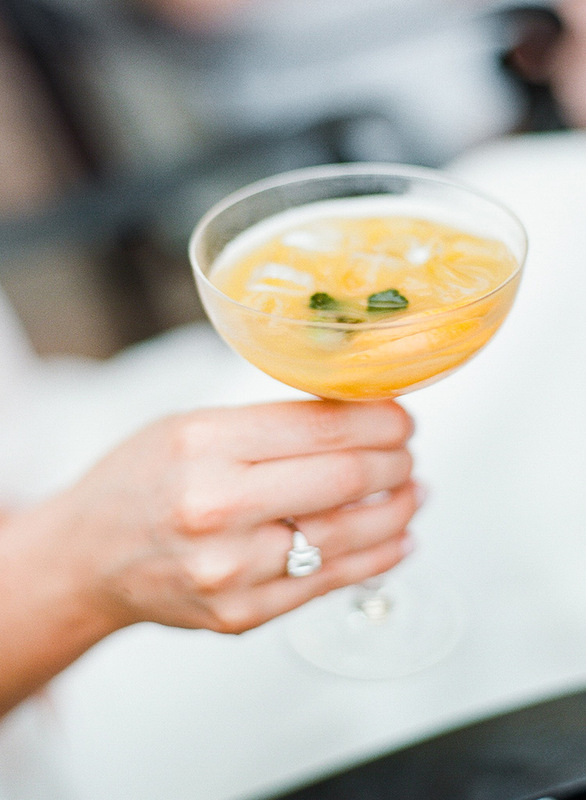 Melissa’s signature cocktail was a passionfruit mojito with fresh lime and muddle mint. Mike chose a modified Manhattan with rye, quince syrup, muddled oranges, and orange bitters. Madison Lee’s Cakes baked a funfetti-flavored dessert, which the couple cut before sitting for dinner. 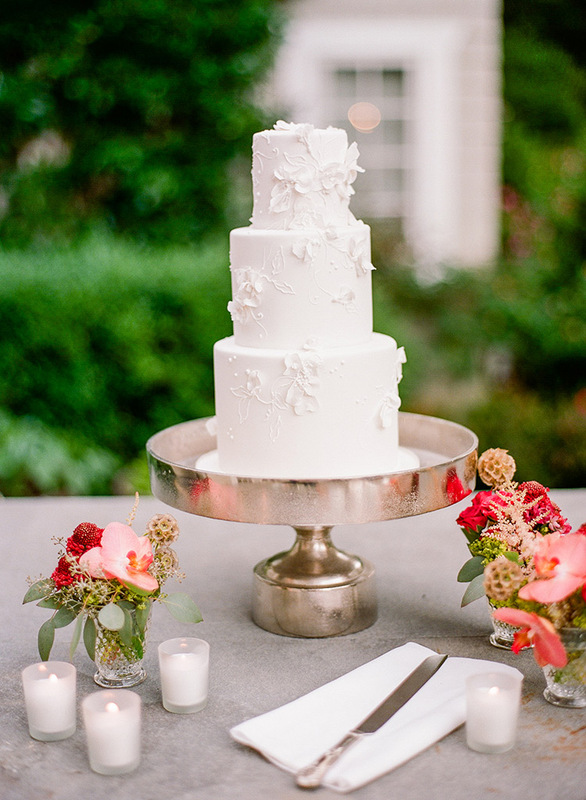 The three-tiered confection was adorned with sugar flowers inspired by Melissa’s wedding dress. Paper boxes customized with the couple’s wedding date allowed the family members to head home with an extra slice. A couple of other fun add-ons took place right before dinner. The bride’s sister-in-law prepared a short photo/video montage of the bride and groom, and everyone ventured down into the basement to watch it on a projector screen. And to break up all of the eating, Melissa’s dad hatched another idea—bringing mentalist Ted St. James in to stir things up a bit. “My parents had seen a mentalist perform at an event and thought it was great entertainment,” Melissa explains. “Everyone was impressed by the performance, even the skeptics in the group. We’re still talking about how did some of the tricks. It was a lot of fun, and a definite highlight of the evening. 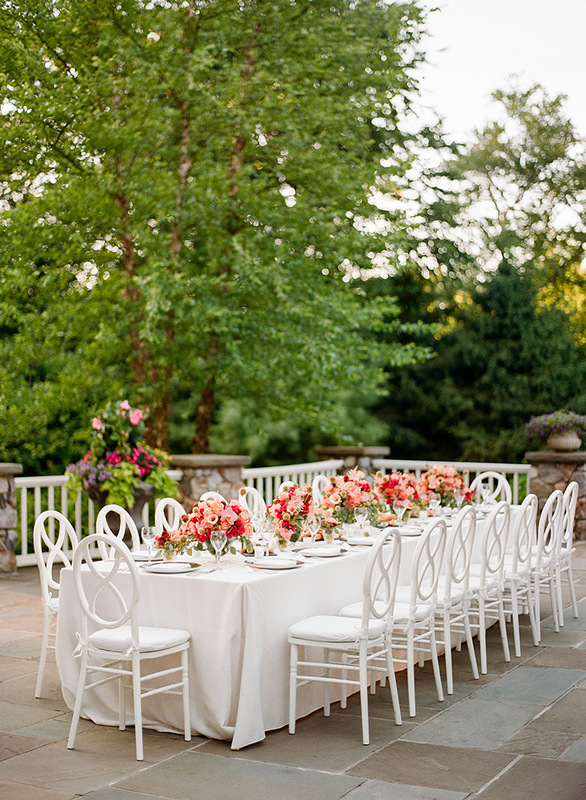 Artistry in Flowers created an elegant tablescape centered around floral arrangements in glass pedestals. The flowers included scabiosa pods, scabiosa flowers, pink astilbe, peach garden roses, yellow mini calla lilies, blushing bride protea, and phalaenopsis orchids. 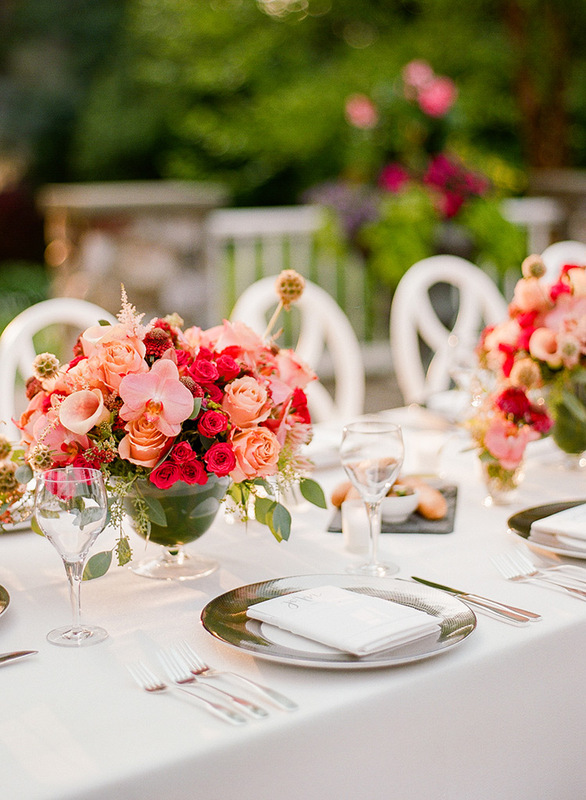 To achieve a vibrant summery color palette, the arrangements showcased burgundy, peach-pink, hot pink, apricot, and green hues. 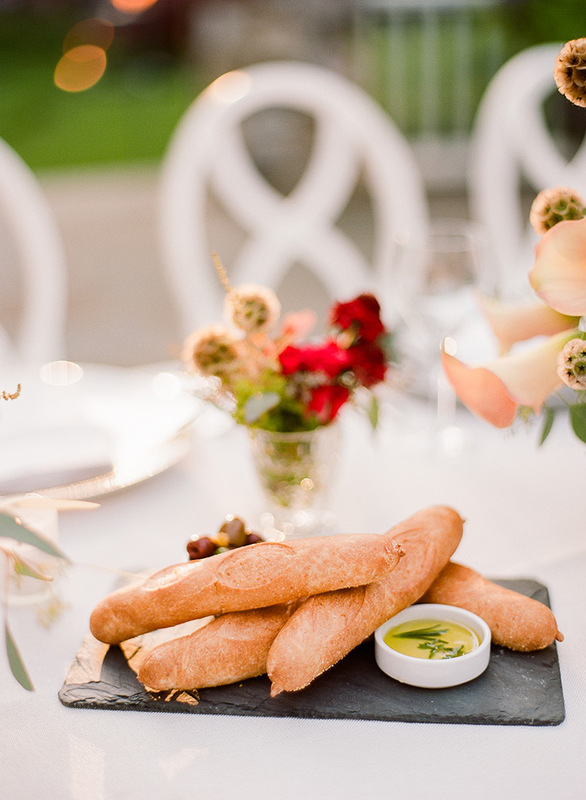 The scene was completed with white hemstitch napkins, stemmed candle stands, and clustered votive candles. The menus, which were printed in metallic silver foil, displayed each guest’s name in calligraphy by Katie Fischer Design. Melissa’s father and Mike’s mother gave short, heartwarming toasts at the dinner table. After the meal, the celebration continued late into the evening by the fire pit. Then guests danced on the patio before moving into the basement for pool, skee-ball, pinball, drinking, and more dancing. “It was a truly beautiful evening,” says the bride.